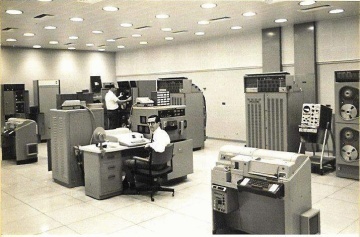 In the world of chess, computer aids to learning are ubiquitous; virtually every chess vendor offers a bewilderingly extensive line of products, from problem collections to video tutorials to opening book trainers. Numerous other board games offer at least a few products to help build your expertise or perfect your skills. But in the world of checkers, you'd be hard pressed to find anything even remotely similar to the wide variety of choices available for other games. However, there is an option, and checkerist Al Lyman has been working on it and refining it for a number of years. In its latest form, it's called Straight Checkers Gold and can be found at Al's Checkerworld site. Combining the original "Straight Checkers" program with two "mini" tutorial programs, the package currently sells for $59. A supplement called Formations is available for an additional $39. Our purpose today isn't to promote Al's packages, or even to do a complete review; instead, we'd like to showcase a sample problem from each of his offerings and let you see for yourself. 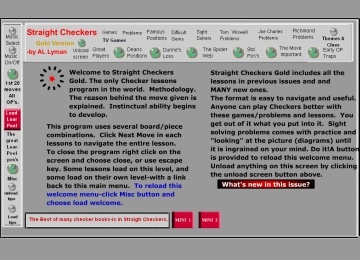 To our knowledge, there are no other even slightly serious computer-based checker training programs available anywhere else in the world, so in that respect, the Straight Checkers series is unique indeed. 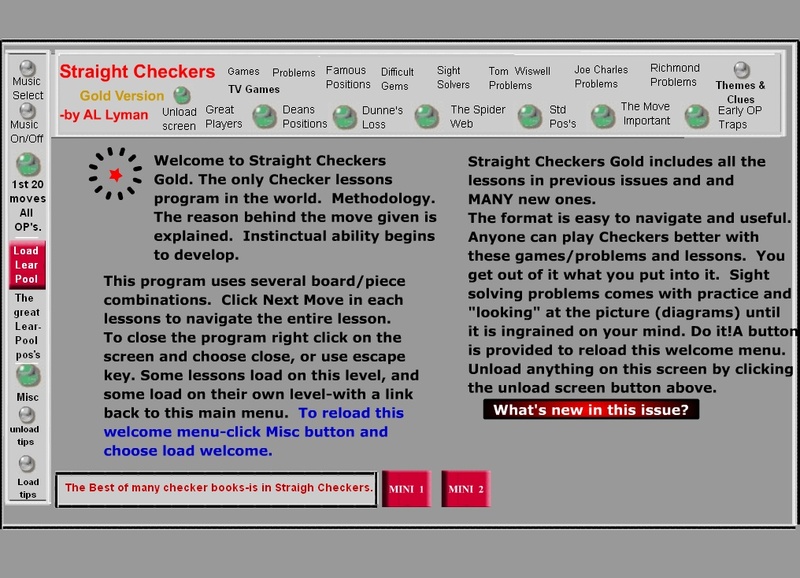 Straight Checkers Gold consists of numerous modules and lessons, as shown in the screenshot below (click on the picture for a full-size version). The modules and lessons can be studied in any order; there is no particular sequence or syllabus. Here is an example taken from the "sight solver" section, a grouping of 18 moderately easy problems. The additional Formations package proposes additional lessons about common checker patterns and formations, but quite a bit more is provided. Again, you can click on the screenshot below for a full-size version. As we said, we're not attempting a review of Al's packages. A demo version is available on Al's website, and you're best advised to take a look and see what you think. We can say, however, that there is truly nothing else like these programs to be found anywhere! Click on Read More for the solutions to the problems above. Sight-solver: 11-8 4-11 14-18 22-6 2-7 11-2 20-11 2-7 11-2 and Black wins on a block. Wilderness: 28-32 7-11 (if 6-10 32-28 10-1 23-27 31-24 28-10 Drawn) 13-17 21-14 9-18 11-16 32-28 16-19 23-27 31-24 18-23 19-26 28-10 Drawn.